FREE YOUR DIGITAL POTENTIAL AND BE REWARDED. 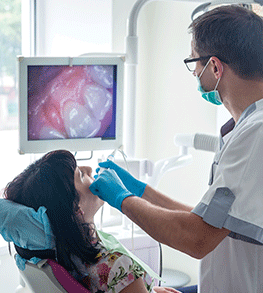 Intraoral scanners for digital impressions are increasingly becoming the standard of care. Historically, most scanner systems were closed with a predetermined pathway, leaving clinicians with no choice about where to send their scans. But with changes in technology and scanner systems on the market you can now choose what is best for your patients and your practice. To support dentists who are looking to embrace a digital pathway, we have created a digital rebate* which rewards you each time you submit a digital scan. So, if you're thinking of purchasing a scanner, there are many to choose from, and we can support your choice as your preferred laboratory. And, if you already have a scanner in your practice, we've made your digital revolution easier. Helping you make the change to become a complete digital practice one step at a time. 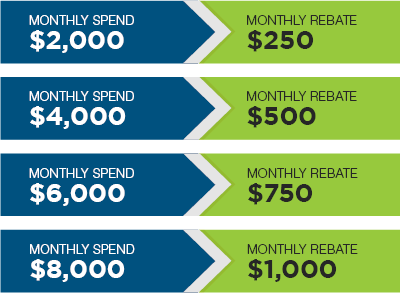 It’s easy to enrol and start earning towards a monthly rebate credited to your account. Send at least five digital case files through to us and begin clocking up rebate dollars* to enjoy at the end of each month, credited direct to your account. After your fifth digital case, any of your digital or traditional cases will add to your monthly spend. Conditions apply please refer to our terms and conditions section. Not only will your rewards build for each time you submit a scan, but you will also enjoy no courier charges either direction. Allowing you to spend the money where and when you need it. We believe that ongoing professional education for all skill levels is invaluable. As a member of our Digital Cash Rebate*, we will secure your spot, so you can access our high quality educational workshops and resources that improve your knowledge of the best and most innovative modern dental practices. • Rebate is based on Monthly Lab Spend. Spend excludes education courses. • Applies to any customer that links their scanner to Precision. • A minimum of 5 digital cases per month are required to meet rebate requirements. • Applies to all scanners. • Rebate only applies if existing and any new Precision accounts are paid up to date. • Cannot be used in conjunction with corporate group discounts. • 3 year term with potential for 1 year plus addition. • Rebate will be received from the consecutive month of achieving the required spend. This credit will appear as an invoiced item against your monthly statement. • The maximum rebate applicable is $1,000.